What are the long-term psychological costs of violence and war? Journalist Garry Leech draws from his experiences as a war correspondent, his ongoing personal struggle with PTSD and the latest research on this mental illness to provide a powerful and vivid answer to this question. For thirteen years, Leech worked in Colombia’s rural conflict zones where he experienced combat, witnessed massacre sites and was held captive by armed groups. 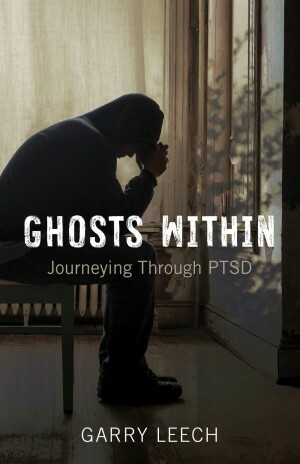 This raw account of his journey from war on the battlefield to an internal, psychological war at home illustrates how those who work with traumatized populations can themselves be impacted by trauma. Leech removes some of the stigmas, fears and ignorance related to PTSD by shedding light on this largely invisible illness that mostly manifests itself behind the closed doors of our homes. Ultimately, the book uses a journalist’s journey through PTSD to provide a message of hope for all those who suffer from this illness. Garry Leech takes the reader on an exciting and thought-provoking journey from his childhood in Britain to life in the US Marines in Panama, from being a butcher in Detroit to driving a cab in New York and dealing blackjack in Las Vegas, from the war zones of El Salvador and Colombia to indigenous communities in the Amazon, and from post-industrial Canada to the socialist experiments of Venezuela and Cuba. Leech vividly describes how his adventures and experiences led him, not only on a geographic odyssey, but also on a path of personal discovery that resulted in him questioning the values and beliefs he grew up with. 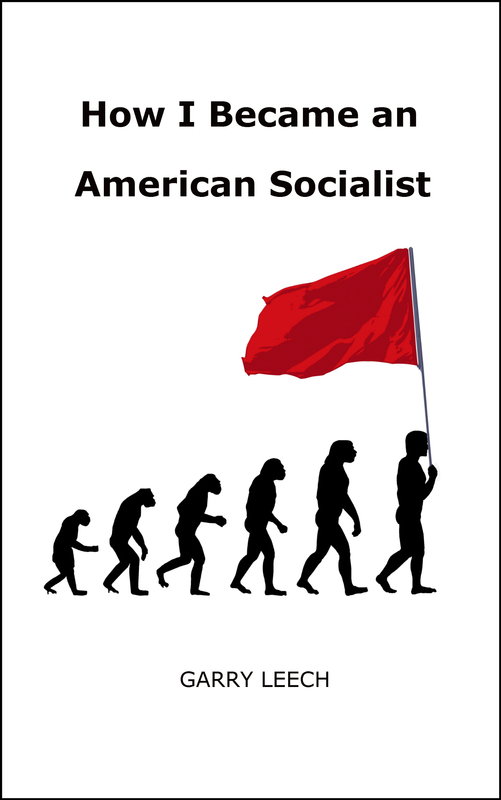 No longer able to ignore the many injustices he has witnessed over the years, Leech concludes that socialism offers us our only hope to achieve a more compassionate, democratic and sustainable world. 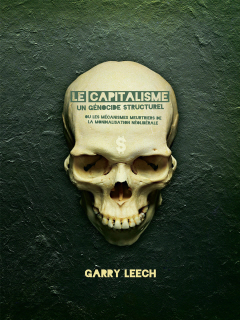 In the wake of the global financial crisis and ongoing savage government cuts across the world, Garry Leech addresses a pressing and necessary topic: the nature of contemporary capitalism, and how it inherently generates inequality and structural violence. 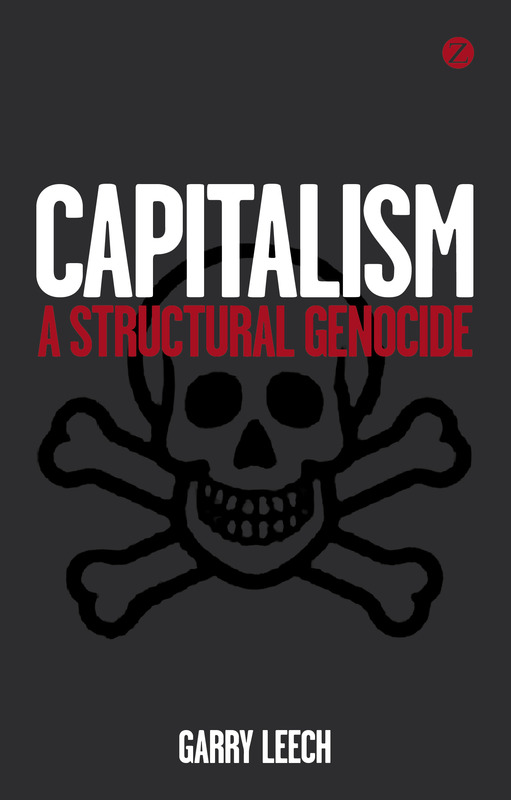 Drawing on a number of fascinating case studies—including the forced displacement of farmers in Mexico, farmer suicides in India, and deaths from preventable diseases in Sub-Saharan Africa, as well as the unsustainable exploitation of the planet’s natural resources—Leech provocatively argues that capitalism constitutes a form of genocide, and that this genocide is inherent in any social system that adheres to the logic of capital. Essential and eye-opening, the book questions the legitimacy of a system that inevitably results in such large-scale human suffering, while going beyond mere critique to offer a more democratic, egalitarian and sustainable global alternative. To many, including the Colombian, US and EU governments, the Revolutionary Armed Forces of Colombia (FARC) are terrorists, engaged more in organized crime than ideological struggle. But does this tell the whole story? Is armed revolution possible without acts of terrorism? The FARC: The Longest Insurgency is the definitive introduction to the guerrilla group, examining its origins, aims, structures and operations. 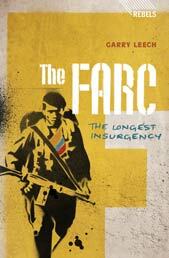 Garry Leech investigates the FARC’s impact on local, regional and global politics and maps its future direction. Having reported from the frontline in Colombia for many years, and having been held captive by the FARC, Leech offers an unparalleled insight into one of the world’s most high-profile armed revolutionary organizations. Drawing on unprecedented access to soldiers, guerrillas, paramilitaries, and peasants in conflict zones and cocaine-producing areas, Leech’s documentary memoir is an epic tale of a journalist’s search for meaning in the midst of violence and poverty, as well as a humanizing firsthand account that supplies fresh insights into U.S. foreign policy, the role of the media, and the plight of everyday Colombians caught in the midst of a brutal war. Independent journalist Garry Leech has spent the last decade working in the most remote and dangerous regions of Colombia, uncovering the unofficial stories of people living in conflict zones. Beyond Bogotá is framed around the eleven hours that Leech was held captive by the FARC, Colombia’s largest leftist guerrilla group, in August of 2006. He recalls nearly thirty years of travel and work in Latin America while weaving in a historical context of the region and on-the-ground reporting with each passing hour of his detention. What do Cape Breton in Atlantic Canada and Colombia in South America have in common? Coal, for one thing. Coal mining was the backbone of Cape Breton’s industrial economy for more than one hundred years, but the last mine was closed in 2001 when the province’s utility company took advantage of neoliberal globalization by importing coal—from Colombia. Cape Breton and Colombia epitomize the loss of well-paid, unionized industrial jobs in the global North—primarily North America and Europe—as a result of neoliberal globalization allowing multinational corporations to exploit the natural resources and cheap labour of the global South—Latin America, Africa and Asia. 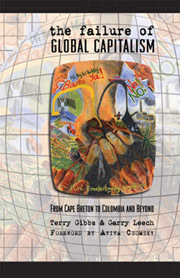 The Failure of Global Capitalism uses the examples of Cape Breton and Colombia to illustrate the harsh realities suffered by people in both the global North and the global South under neoliberal globalization, particularly with regard to socio-economic and environmental issues. Ultimately, it exposes the failure of industrial capitalism, and looks toward more sustainable and egalitarian alternatives. Since the Cerrejón Mine opened in 1983, its operations and constant expansion have forcibly displaced indigenous Wayuu and Afro-Colombian communities. The reports and articles in this book, written by various Colombians, North Americans and Europeans familiar with the issue, document this process and the human rights and environmental consequences. 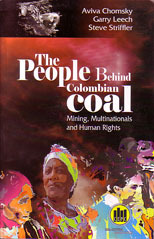 This book, as the title suggests, is about the people behind Colombian coal. More precisely, it is about the people behind the coal produced at El Cerrejón, the world’s largest open-pit coal mine, which is located in La Guajira in northern Colombia. 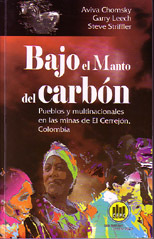 The book aims to illustrate how the multinational mining companies that own El Cerrejón profit at the expense of the “people” of the Guajira region whose plight has remained hidden “behind the Colombian coal” that many of us in North America and Europe rely on to generate our electricity. 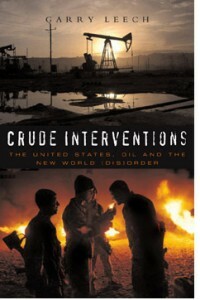 By focusing on the US role in Iraq, Central Asia, West Africa, Colombia and Venezuela, Crude Interventions makes evident the connections between energy interests, the war on terror, globalization, human rights abuses and other social injustices endured by those peoples of the South cursed with an abundance of the world’s most sought after resource. At the beginning of the 21st Century, a new world disorder is emerging in which battles over resources are playing an increasingly prominent role. The importance of oil to this picture is underscored by the unilateral and militaristic foreign policy of the world’s largest power in its attempt to secure access to this critical resource. In this global context, oil-rich communities of the South are being drawn into struggles to defend their sovereignty, cultural integrity, human rights and threatened ecosystems. Drawing from on-the-ground reporting as well as historical sources, Killing Peace addresses all aspects of the Colombian conflict, particularly the dangerous and expanding involvement of the United States as part of its drug war—and now the “war on terror.”Over the past half-century, Colombia has been plagued by violence—its people caught in the middle of a civil conflict raging between the army, leftist guerrillas, right-wing paramilitaries, narco-traffickers, and U.S. anti-drug warriors. Killing Peace: Colombia’s Conflict and the Failure of U.S. Intervention provides a timely and much-needed overview of the war that is ravaging Colombia including its root causes in the country’s gross social and economic inequalities. Avec la précision d’un procureur aguerri et la force morale d’un prophète de l’Ancien Testament, Garry Leech révèle que la puissance qui gouverne le monde à notre insu est responsable de dizaines de millions de morts chaque année. Ses actes sont froidement calculés ; ses crimes, prémédités ; les preuves, indiscutables. Mais le monstre n’a pas de visage, ou plutôt il en a mille. Mu par une avidité sans limites, il contrôle tout, avale tout, détruit tout. Son nom : la mondialisation néolibérale ; son géniteur : le capitalisme. Puisant dans l’histoire bouleversante des paysans dépossédés de leurs terres au Mexique et en Inde, dans celle des Africains qui meurent par millions chaque année faute de soins, Garry Leech démonte méthodiquement les mécanismes meurtriers de la mondialisation néolibérale et livre un réquisitoire implacable sur la nature génocidaire du capitalisme. Il montre aussi comment les révolutions d’Amérique Latine peuvent établir les fondations d’une alternative mondiale viable, plus égalitaire, plus démocratique. Bajo el Manto del Carbón, así como su título lo sugiere, se trata de los pueblos invisibles detrás de la minería de carbón en Colombia. Más precisamente, se trata de los pueblos alrededor de El Cerrejón, la mina de carbón a cielo abierto más grande del mundo, ubicada en el departamento de La Guajira al noreste del país. Nuestro objetivo de dar a conocer la forma en que las compañías mineras multinacionales dueñas de El Cerrejón devengan sus ganancias a expensas de los pueblos que habitan la región de La Guajira, y de cómo su difícil situación se ha mantenido oculta “bajo el manto del carbón” que muchos de nosotros en Norteamérica y Europa usamos para producir nuestra electricidad. Al concentrarse en el papel de los EE.UU. en Irak, Asia Central, África Occidental, Colombia y Venezuela. Este libro desvela las conexiones entre los intereses energéticos de EE.UU., la guerra contra el terrorismo, la globalización, los abusos en derechos humanos y otras innumerables injusticias sociales padecidas por los pueblos del Sur en esta frenética carrera. 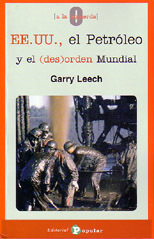 En este libro se examina la política económica y militar de la administración Bush en las diversas regiones del mundo ricas en petróleo. Con solo el 4% de la población mundial, los EE.UU. consumen el 25 % de la producción energética. FARC i Colombia er verdens ældste revolutionære oprørsbevægelse. FARC har kæmpet i Colombias jungler og bjerge igennem et halvt århundrede. Det er en bevægelse som Colombias store militær, døds­patruljer, og USA ikke har kunnet få bugt med. FARC er i vid udstrækning dæmoniseret af vestlige regeringer og medier, men der er ringe viden om bevægelsens organisation og mål. 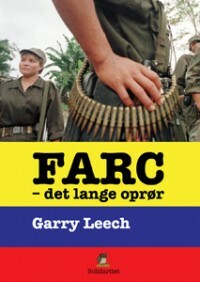 Journalisten Gerry Leech har et indgående kend­skab til FARC og Colombia via årtiers interviews med alle dele af det colombianske samfund.